Triple layers of Music notes will make you sing a joyful song! There is a bottom layer of a black 2.25" grosgrain, then a 1.5" white grosgrain layer and topped off with a 7/8" black with white music notes. There is a treble cleft sign and notes dancing on the lines. 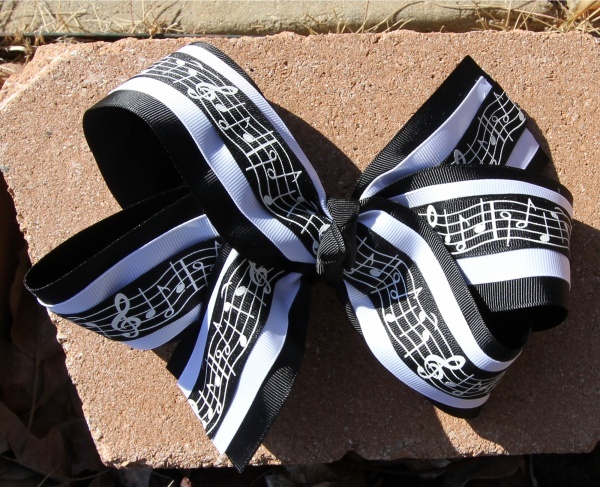 Sing your heart out with this music note bow.